On January 12, Zanzibar celebrated the 54th anniversary of the revolution which preceded the island state’s union with Tanganyika to form Tanzania. The revolution took place at a significant point in time during the escalation of Cold War competition and ended Arab dominance on the island. This was despite the last Arab Sultan of Zanzibar, Jamshid bin Abdullah, having been able to maintain a degree of popularity, possibly in part due to his family’s ethnic heterogeneity that brought together individuals from different backgrounds representing the archipelago’s ethnic diversity. However, the process of decolonization led to grievances in Zanzibar. In a parliamentary election in 1961 the Zanzibar Nationalist Party (ZNP), dominated by the generally wealthier Arab elite, took power. The mainly African representatives of the opposing Afro-Shirazi Party (ASP) suspected foul play and disturbances erupted, which led to the African population becoming increasingly receptive to dissent. Another election took place in 1963 to determine the seats in a parliament that had been increased from 23 to 31. ZNP prevailed again, having secured a coalition with a key partner Zanzibar and Pemba People’s Party (ZPPP) from the archipelago’s northern Pemba Island. The government then, fearing an uprising, sought to consolidate its power. Yet, by banning the breakaway socialist Umma Party and firing a number of members of security forces the government produced further outcry that strengthened the opposition. On January 12, 1964, one month after Zanzibar’s independence from Britain, the revolution took place. A small force, composed of some hundreds of poorly armed men, under the command of Ugandan-born ASP member John Okello, overwhelmed the country’s security force and deposed Sultan Abdullah and the government. Reprisals mainly on Arabs and their property ensued, and the leader of ASP Abeid Karume took power. The socialist nature of the revolution and the new government’s close ties with the communist bloc became a concern in the West. Britain contemplated on intervening in the country, but this became not necessary because Zanzibar formed a union with Tanganyika in April 1964. Today, the president, who essentially inherits power from the sultan, continues to be an important political and ceremonial figure in the currently semi-autonomous region of Zanzibar. 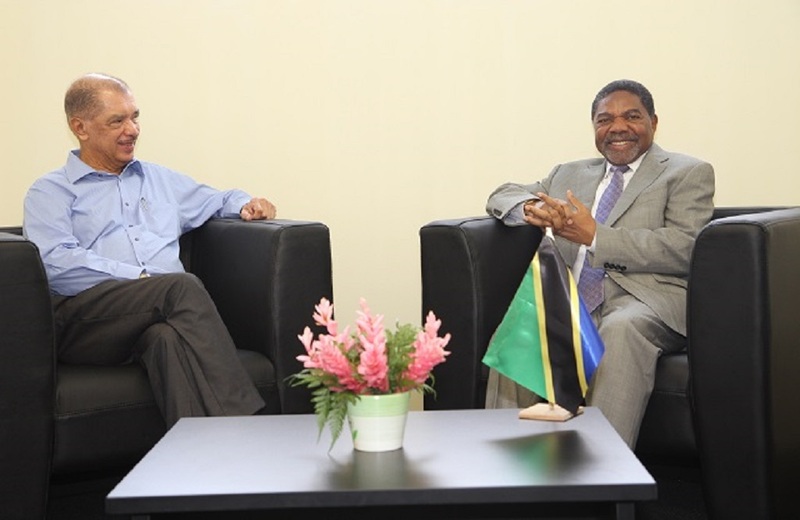 Incumbent president-elect Ali Mohamed Shein, who hails from Chama Cha Mapinduzi (CCM, Party of the Revolution) that has dominated Tanzanian politics since the latter 1970s, is currently on his second-term and enjoys respect and support among Zanzibar’s population. Political stability since the revolution can be said to owe to a large extent to improved and more inclusive governance, evening out of wealth differences, as well as more extensive social policies than during the time of the sultanate. Indicative of the continued importance of the revolution in the memory in Zanzibar, the Revolution Day is celebrated as a holiday and the president uses the occasion to pardon prisoners. This year he pardoned 12 convicts.